Ben is passionate about creating new educational opportunities for youth worldwide. Before co-founding Ultimate Without Borders, Ben served in the Peace Corps as a community economic development volunteer in Panama. In 2010, he extended his service to develop a youth-leadership workshop that he implemented with fellow volunteers for more than 600 youth around the country. 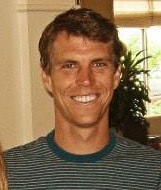 Ben studied Economics and graduated with honors from the University of Texas at Austin. In 2017, he completed a degree in International Education Policy at the Harvard Graduate School of Education. Dai is passionate about empowerment through education, both inside and outside the classroom. As a Peace Corps volunteer, she spent 2 years teaching English to 5 - 11th graders in Azerbaijan and is currently teaching in South Africa. In 2012, she founded the Azerbaijani Ultimate Frisbee League with more than a dozen nationwide youth teams. She is currently working as a teacher in New York City. Ken has several years of experience in formal and informal youth education ranging from sports coach, youth development professional to teacher. As a Peace Corps volunteer in Panama, he spent 2 years training primary, secondary and tertiary level English teachers. In addition, he has spread ultimate to over 500 youth. He trained several physical education teachers to use his curriculum and coached extra-curricular youth ultimate clubs. Ken is currently teaches and coaches in La Crosse, Wisconsin. Danielle is a proud native of the City of Brotherly Love (Philadelphia), which is where she first fell in love with ultimate. 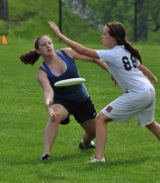 She led the women's ultimate club at Bucknell University as captain for two years. In addition, while studying for her graduate degree she moonlighted as captain and coach of the women's club at the University of South Florida. Danielle is passionate about the truly unique sport of Ultimate Frisbee and excited to be working with UWB to foster youth development in Panama. 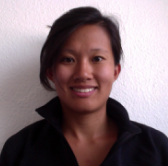 Danielle currently works in international development and lives in Arlington, Virginia. Valter was born and raised in Panama City, Panama. He began playing Ultimate Frisbee six years ago, and in 2015 he started volunteering his time to work with youth as part of the Panamanian Frisbee Federation. Besides working in real estate, in his free time he enjoys rollerblading, exploring nature, and participating in volunteer efforts throughout his country. Valter loves taking on new challenges and opportunities for personal development. He looks forward to sharing this enthusiasm for sports and life with young people through UWB programs. After growing up in beautiful Door County, Wisconsin, Abe moved east to Princeton University where he studied Ecology and Evolutionary Biology. A lifelong athlete, he played sports at the intramural, club, and varsity levels in college, and later coached middle school track at the same school he attended as a youth. Abe is a strong believer in the value of an active lifestyle, for its physical, emotional, and social benefits, especially in the context of team sports. He joined Peace Corps Panama in 2016 as a sustainable agriculture volunteer, bringing with him a frisbee and a desire to share his love of athletics with others. Ben is originally from Washington state. He’s a free-spirited, nature-loving, “third-culture kid” at heart, and has spent the majority of the past 12 years living outside of the USA. As an international high school student Ben developed a passion for cultural exchange and social justice. 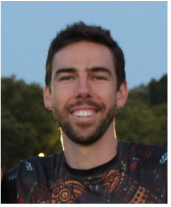 As a Peace Corps Volunteer, Ben has dedicated his service to the promotion of sports, literacy and health through youth clubs and in collaboration with local English teachers. In addition to working with other Peace Corps Volunteers on leadership and reproductive health seminars, Ben is developing a yoga and mindfulness curriculum for youth.